After a recent quilt finish (hashtag secret sewing) there were long strips of excess batting and backing leftover after trimming. What could I do with these leftover strips of batting and backing? The backing fabric is the signature print (Prism) from Latifah Saafir's fabric line, Grafic, by Hoffman Fabrics. I had the idea of making a quilted alphabet as a Christmas gift for a couple of little boys. 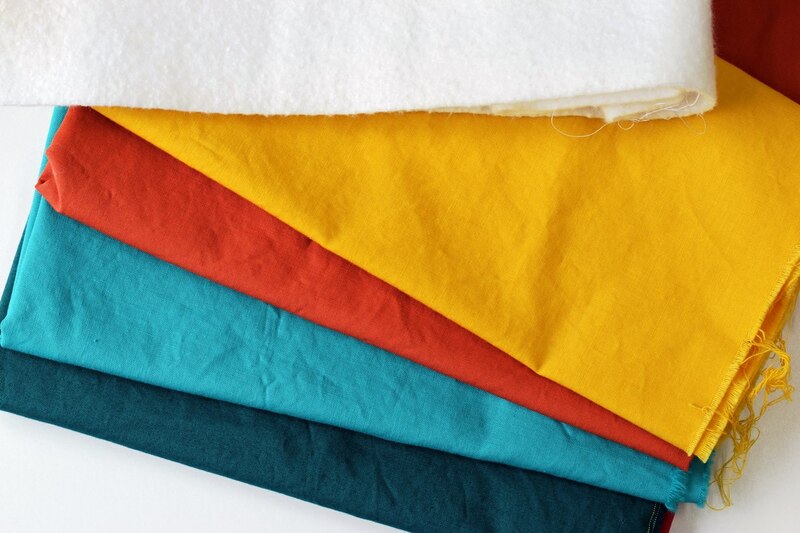 I pulled some solids which coordinated with the colors in the backing fabric. Most quilted fabric alphabet tutorials call for printing 4" letters on card stock, cutting them out and using those as templates. 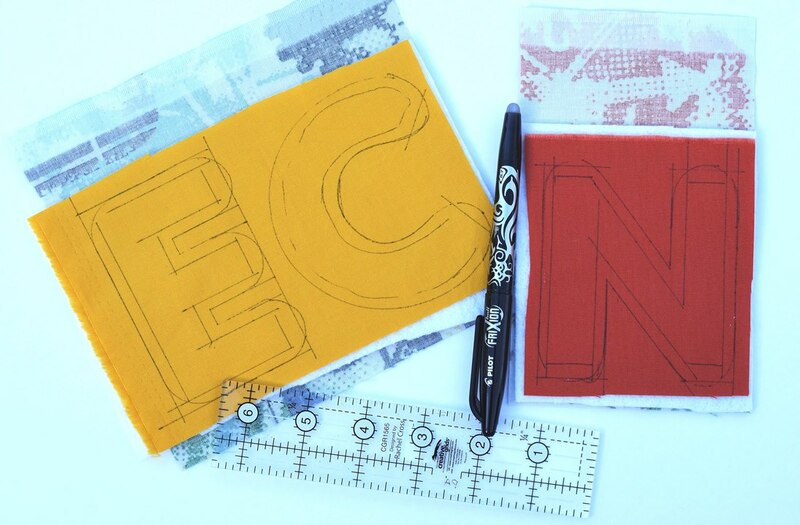 That seemed really time consuming so I went on a hunt for stencils. I found these 4" die-cut letter a dollar store. Although the edges were rounded, I wanted to give them a try and, after all, they were only a $1. 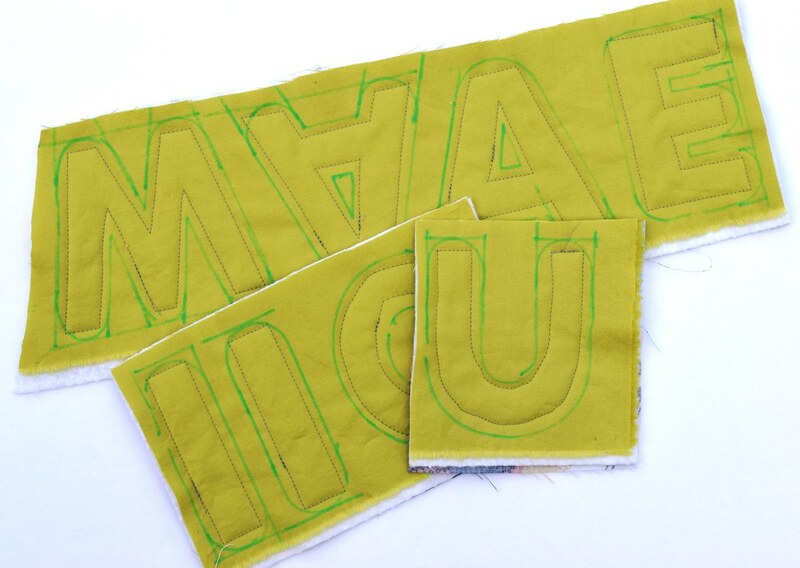 On the first letters, I traced around the letters using a water soluble fabric marker and squared off the rounded edges. Since the drawn line needed to be the cutting line for the letters, I found it difficult to judge the spacing in order to quilt inside the line especially in the curves. These are the first letters completed, not perfect by any means, but not bad. I knew more vowels than consonants would be needed so the first letters I made were a set vowels plus a W or M. I cut them out with pinking shears. Things really sped up when I switched from a the fabric marker to a Frixion pen. 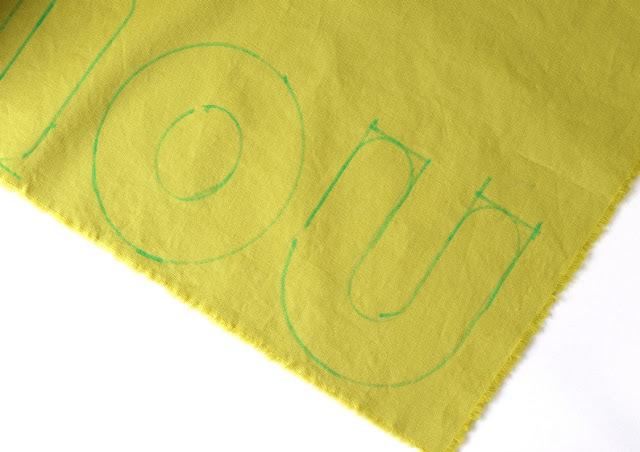 I could easily trace around the letters and even draw the quilting line rather quickly using a small ruler. I just eyeballed marking a little less than 1/4" away from the outside line. I just free handed the curves for a guideline. 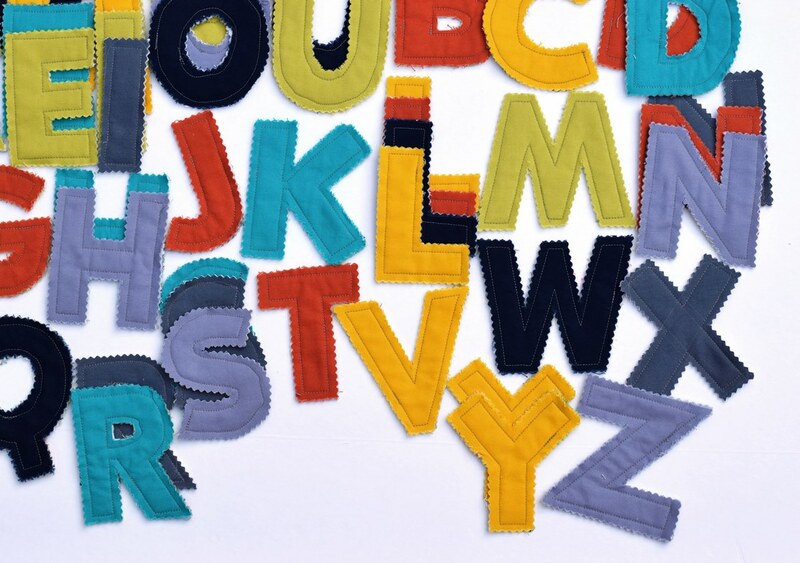 I found the most commonly used letters of the alphabet according to Oxford Dictionary and kept making letters. Somehow I missed the T's, the second most common letter, and need to make a few more of those. 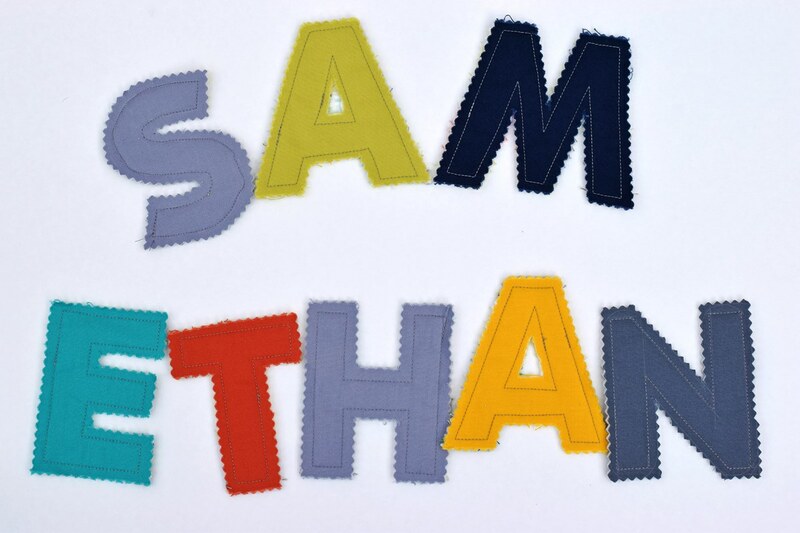 I hope two little boys will like their quilted alphabet. They would need something to hold the quilted letters and decided to make an oversized zippered Becca bag. I used a low volume print from Grafic for the lining and the largest zipper I had on hand, a 24" zipper. It finished around 11" wide by 9" tall. You can see more about the Becca bags I made here from C&S fabrics and here from MQG challenge fabric. I made a tab from the selvage which includes the year it was made. A low loft batting, Thermore, was used giving the bag a little body. I quilted just a few straight lines to sandwich the layers together. 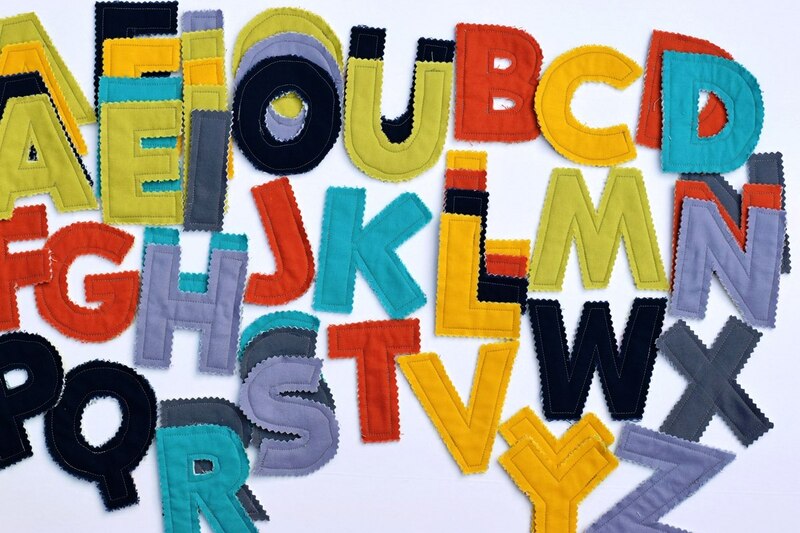 The next time you have leftover fabric and batting strips at least 4" wide, remember they are perfect for making quilted fabric letters for little ones. 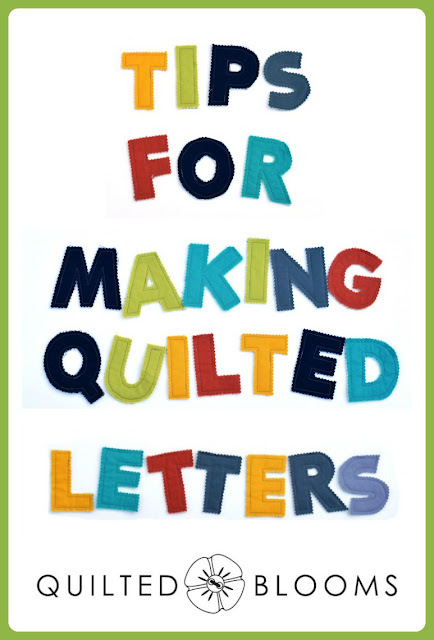 And one more tip...I suggest prewashing and drying the letters before gifting them. With all the raw edges and cutting with the pinking shears, they were very linty. Linking to Tips and Tutorials Tuesday #4, Let's Bee Social #156, Needle and Thread Thursday, Finished or Not Friday and Show Off Saturday. Great use of leftovers! Paige you are such a creative soul. The boys are going to love them! What a great use of leftover scraps and a fun gift, Paige. I hope the boys enjoy them and thanks so much for linking up! This is a fantastic idea. Thanks so much for all the detail on how you went about making them. 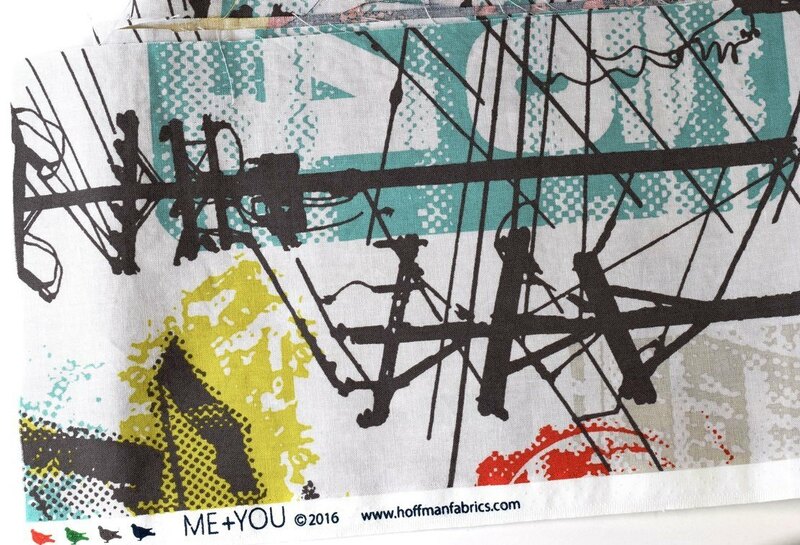 I have a large basket of batting/backing fabric scraps, now I need to go hunting for a stencil! Merry Christmas Paige! That is so cool Paige! I love the pinked edges too. 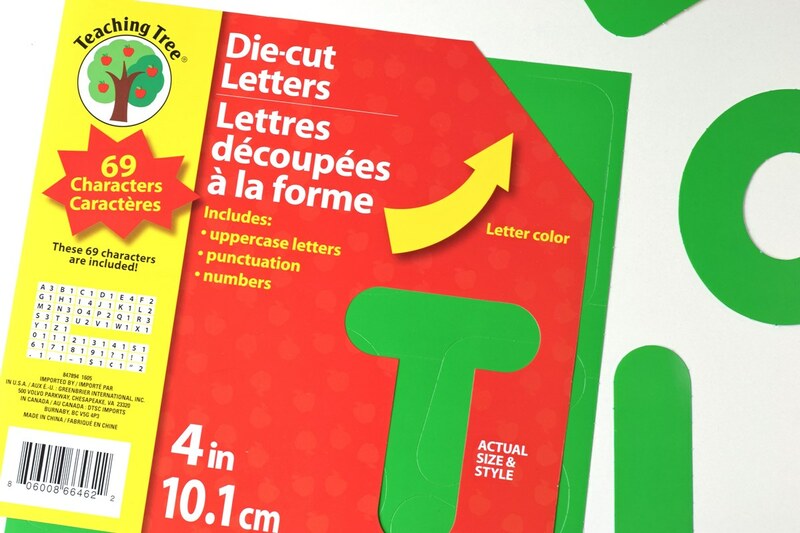 Those little guys are going to have a lot of fun with your letters. Boy, I have learned some very thrifty ideas! 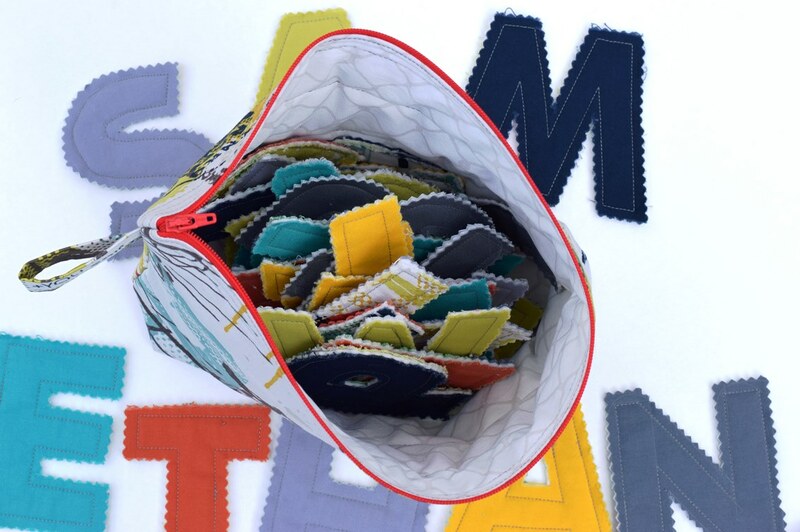 I will save my leftover batting and strips from my quilt, plus I will start using denim instead of purchasing so much fusible batting for bags. Awesome ideas, thank you! What a fantastic idea. These look great and I'm sure will entertain two little ones very well. Wonderful , and in a bag too, this will be a super gift for them. Great idea Paige, your letters look great. I'm sure the boys will love them. Fantastic gift Paige - what a fun way to consume those scraps. I love the Grafic line - isn't it great? Have a wonderful Christmas! The former teacher in me love, love, loves this! These are so cute! I like doing the edges with pinking shears, especially since I hate turning things inside out. I will have to keep this in mind, as my little guy will be at the letters stage soon. 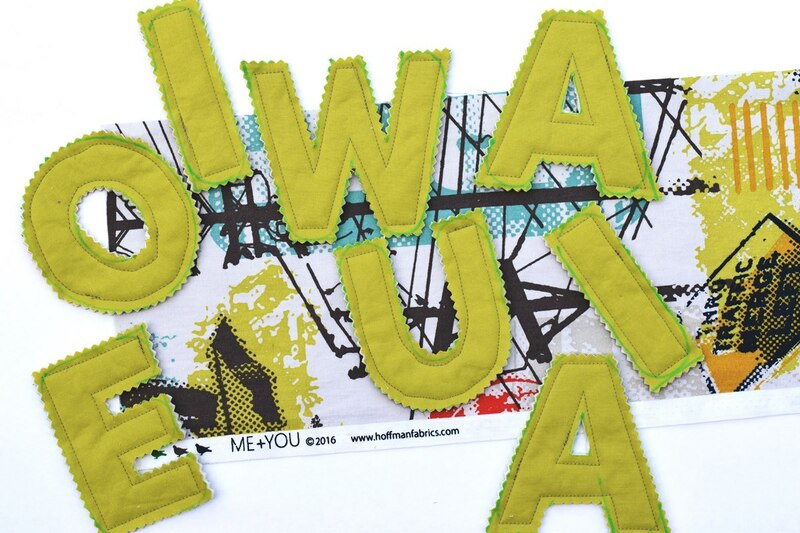 What a great way to use up scraps and create a fun gift! I love the bag too! Oh, Paige! This is such a great idea and will be the perfect gift! My daughter was never interested in playing with dolls or toys, but she LOVED to write the alphabet.... over and over again! These letters will be great for making words and puzzle play. And knowing little boys... They make soft pieces for throwing at each other, I'm sure! Wishing you and yours a very Merry Christmas! What a great present! That must have take hours. Merry christmas! What an awesome idea Paige! These boys will have so much fun with these! Merry Christmas! This is a very clever gift and a good use of those scraps, too. 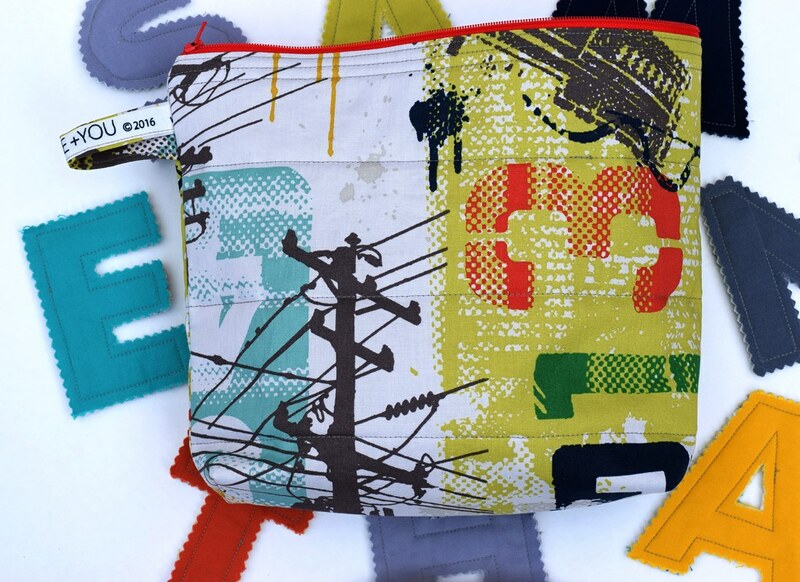 Love the zippered bag! What a great idea for using leftover fabric. I'll bet the boys loved their gift. Oh what a lovely gift Paige - I am sure they will be played with for many hours. One of the most thoughtful gifts ever!